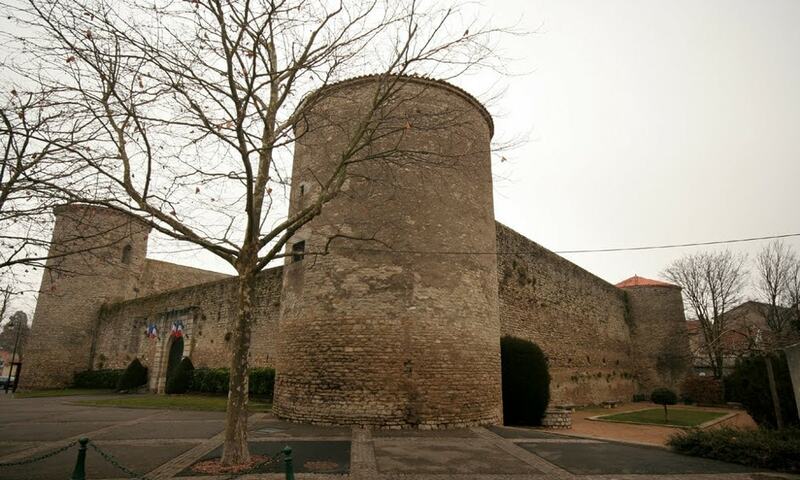 The Castle of Gannat is a typical defensive fortress built on a square plan and flanked by four towers which are connected by high crenelated walls. Originally, the castle was constructed outside the town walls and it was surrounded by a water-filled moat. Over time, the town began 'to grow' around the castle; the building is now a feature of the town center. By the 16th century, the castle was becoming unsuitable for everyday living and as a result, it was gradually abandoned. In the 19th and early 20th century, it was used as a prison. It was then acquired by the Allier department and in 1926 it was listed as a historic monument by the French Ministry of Culture. Today, the castle houses the Yves Machelo Museum. It displays various items including parchments from the 14th to 18th centuries, ivory crucifixes or 12th century wrought iron. There is a separate section that displays photographs, medals and news articles about the Resistance in the region.